Nineteen miles of serene water and calming scenery to paddle and soak in. Gliding silently down the water, the only sounds heard are ripples over rocks, the chirps of birds, and if lucky, the screech of an eagle. 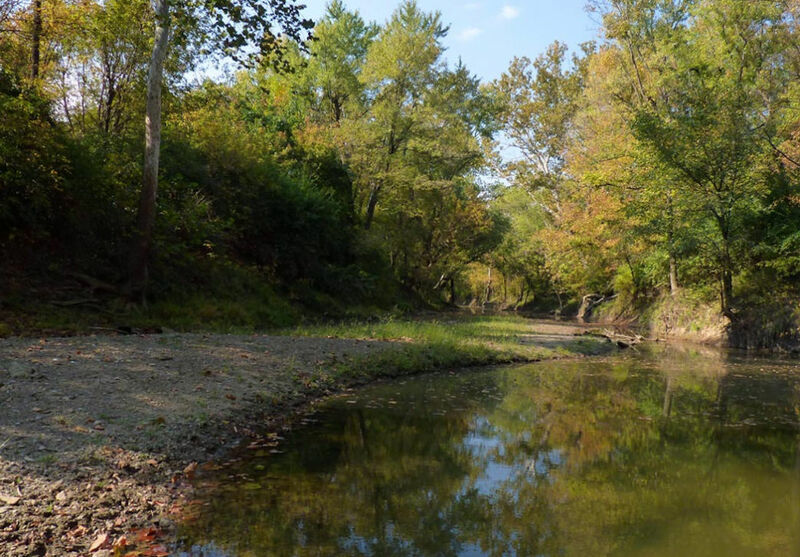 Fun and adventure await on northern Kentucky’s Banklick Creek. The whole river is 19 miles, but most people run the section between Independence Station Road and the Doe Run confluence. During times of higher water, the river runs more difficult, and there is a drop in the beginning that is attention getting, but most of the time, the river is mostly fairly casual Class II. 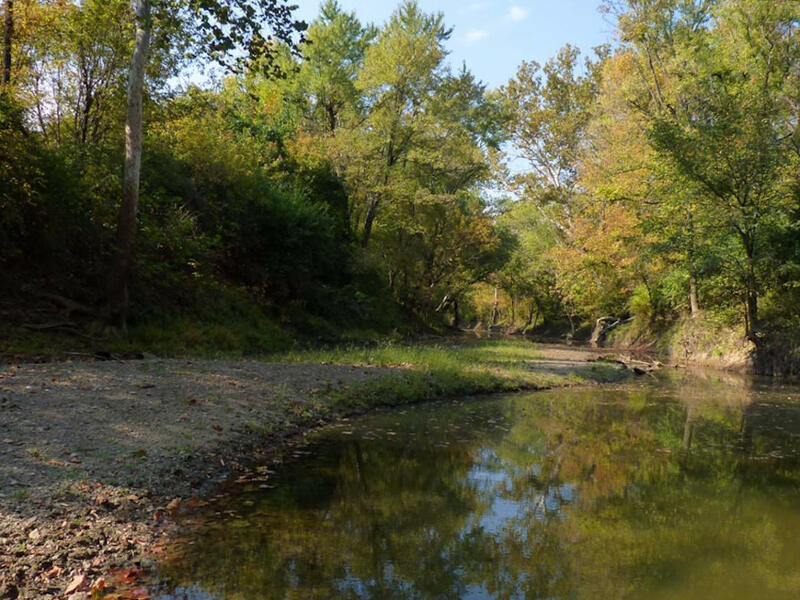 Banklick Creek is a 19-mile-long tributary of the Licking river (itself a popular paddling destination) in northern Kentucky. Along with the Ohio river, it’s part of the much larger Mississippi watershed. Most people however, stick to the 5-mile section from the Independence Station Road to the Doe Run confluence. This 5-mile stretch runs through varied landscape, from residential areas to city parks and of course, through Kentucky’s famous deep, lush hardwood forests. If not done with paddling, and want to make a full day of it, finish at Doe Run Lake Park. There’s a 30-acre lake, hiking trails and quiet, scenic picnic areas, a perfect ending to a fun day on the river. For the most part, the whole creek is shallow, fairly tight, and moderately technical, more so during low water. The riverbed tends to range from gravel and silt to rocky, and in certain places up to 8 feet deep. During high water, the difficulty increases, so if you’re looking for more challenging whitewater, head out during or just after a good rain storm. The river tends to fill, and drop quickly after a rainburst. Long sections of rollers keep the fun-meter high and the canyon sections are quite beautiful. There are a few sections where it descends up to 50 feet per mile, which is decently steep, simply adding to the fun. The first three rapids that paddlers will encounter are in a scenic, narrow canyon about 200 yards long, The highlight of this section is a nice 3-foot ledge. Then a fun, churning left hand turn awaits as boaters exit the canyon. The run ends on a high note with some faster rollers and some big waves in the last half-mile or so. A perfect way to end a good afternoon on the river. The range of possible wildlife in the area is impressive as well. The whole Licking River area has become a hotspot for bald eagles, keep an eye out. Intermediate Paddlers looking to get their feet wet find the Banklick perfect. The river runs at Class II, really only reaching Class III with higher water. Though, it’s still techy enough to keep it engaging, without being out of control scary. Fossil and artifact hunters should keep a keen eye out. Human activity around the area dates back to around 8000 BCE, and numerous sites have been discovered along the creek’s length. In 2001, a flint spear head was discovered in the silt and gravel near Latonia. It was later confirmed to date back to 11,000 BCE. From I-75, take exit 180 and turn left onto US-127 N/US-42. Turn right onto KY-1829/Industrial Rd and drive 3 miles. Turn right onto Turkey Foot Rd. for .6 miles and left onto Independence Station rd for 2.4 miles. Park along the road. Pay attention to water quality and flood warnings. At times, the county has advised against swimming due to pollution levels.